In this episode I’ll talk about tips for the pharmacist in the initial treatment of severe sepsis / septic shock. Severe sepsis is sepsis with organ dysfunction and septic shock is sepsis induced hypotension that remains after adequate fluid resuscitation. Additional criteria for the definitions of severe sepsis / septic shock can be found in the Surviving Sepsis Guidelines, and the Center for Medicare quality measures. 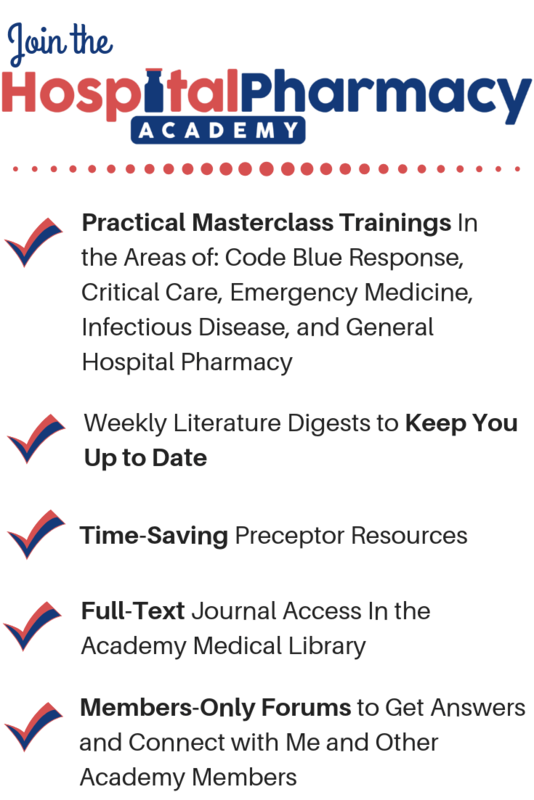 I’d also highly recommend that you take a look at two landmark studies that have been published since the Sepsis Guidelines came out in 2012 – the ARISE and PROCESS trials. The treatment of severe sepsis / septic shock involves a great deal of supportive care, much of which I’ve already covered on this podcast. I’ll be referring you to previous episodes when relevant throughout this episode. A patient with severe sepsis / septic shock may need stabilization of their airway and breathing with mechanical ventilation. Episode 15 provides a great review of the role and expectations of a pharmacist during endotracheal intubation. After the airway is secure, IV fluids are the most important intervention for a patient with severe sepsis / septic shock. Septic shock is a distributive shock state. The intravascular volume is low, and therefore stroke volume and oxygen delivery are reduced. Giving IV fluids directly replenishes the intravascular volume, increases the stroke volume and increases oxygen delivery. Despite a lack of focus on IV fluids in my training, I’ve learned to treat them as a medication that requires a specific dose to be effective. So the first thing I focus on when I encounter a patient with severe sepsis or septic shock is getting the right dose of IV fluid. Nearly all your severe sepsis / septic shock patients will need a 30 ml/kg bolus or 2 or more liters of crystalloid IV fluid such as normal saline or lactated ringers. This bolus of IV fluids will need to be administered over 20-30 minutes. Most IV pumps that I’ve seen have a maximum rate of 999 mL/hr. I always consult with the patient’s nurse to determine if they think the patient’s IV access is sufficient to get the bolus administered fast enough off the pump. If the IV pump turns out to be faster due to small IV lines, I ask for 2 IV sites to each have a liter of IV fluid running at 999 mL/hr. Be aware if you are not in a critical care area, the nurses may not be aware of or comfortable with the rate necessary to give an IV fluid bolus, and you will need to be assertive to get the IV fluids dosed correctly. Unless it will pose a significant delay, blood cultures should be drawn prior to starting antibiotics. Taking up to 45 minutes to get the blood cultures before giving antibiotics is considered acceptable by the Surviving Sepsis Guidelines. 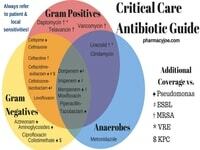 Episode 8 provides an excellent review of empiric antibiotic therapy for ICU patients. If multiple antibiotics need to be given, I’ll run them simultaneously on different IV sites. I think the rare event of a patient reacting to an antibiotic and you not knowing which one, is outweighed by the delay that would occur in administering antibiotics sequentially. Consider giving IV push antibiotics. If you can get your institution to adopt this practice it will likely shorten the time it takes to give antibiotics to a septic patient as you will not have to gather tubing and an IV pump to give the antibiotics. My general rule with vasopressors is that if one is in my pocket, the patient won’t need it. So I always make sure I obtain a bag of norepinephrine early on when encountering a patient with severe sepsis / septic shock. 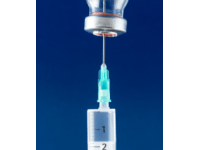 Episode 5 provides an excellent review of vasopressors, and in episode 4 I discuss push dose pressors, a practice I view as usually unnecessary if a pharmacist is present. When caring for a critically ill patient with severe sepsis / septic shock, there is a lot for the nurse to keep up with. 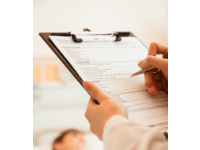 It can be very easy for important interventions such as IV fluids, antibiotics, and vasopressors to be delayed because something more pressing came up that the nurse is dealing with. For this reason, whenever I am handing over to the nurse IV fluids, antibiotics, or vasopressors I make sure they are in the most readily administered form possible. This means that I will be making sure that IV bags are spiked and primed, an IV pump is available, tubing is appropriately labelled, and the nurse has plenty of IV flushes and alcohol swabs. It is one thing to suggest what antibiotic to give a patient with septic shock…it is quite another to actually have that antibiotic administered within 1 hour of the patient being septic. I think focusing on giving the nurse the appropriate medications in the most ready to administer form possible is one of the key benefits of having pharmacists help care for critically ill patients such as those with severe sepsis / septic shock. 1. Do anything you can to faciliate source control. This might mean something as simple as holding the elevator to get to the OR. 2. Don’t do anything to delay source control. If your patient has necrotizing fasciitis, don’t delay the patient’s transport to the OR if the antibiotics haven’t been hung yet. Instead make sure that anesthesia is aware and has the antibiotics in hand when the patient lands in the pre-op area. During the treatment of a patient with severe sepsis / septic shock, keep an eye on signs of end-organ perfusion to help determine whether the patient is responding to the team’s efforts. Appropriate mental status, lactate clearance, urine output of 0.5mL/kg/hr or greater, and a mean arterial pressure of at least 65 mmHg are all excellent and minimally invasive ways of checking to see if your patient is responding to therapy. In my quest to increase the number of medical podcasts available, I’ve created a 2nd podcast, about how to start a medical podcast. I would really appreciate if you would help get my new podcast noticed by others in itunes. All you need to do is head over to pharmacyjoe.com/helpjoe and subscribe and rate my new podcast in iTunes. 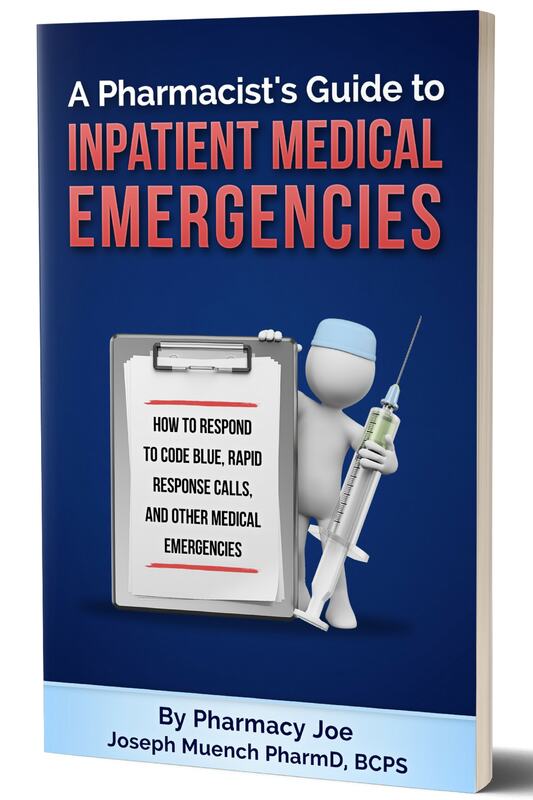 If you like this post, check out my book – A Pharmacist’s Guide to Inpatient Medical Emergencies: How to respond to code blue, rapid response calls, and other medical emergencies. Wonderful review, Dr Joe? Clear and concise. Episode 391: Is 100 mg of micafungin enough for critically ill obese patients? Episode 390: What is the role for tranexamic acid in the treatment of epistaxis? Users of this website are cautioned to use their own professional judgment and consult any other necessary or appropriate sources prior to making clinical judgments. Some links on this site are affiliate links. At no additional cost to you, as an Amazon Associate, I will receive a small commission from qualifying purchases.